California’s state parks include more than just a few natural wonders. Many state parks in California feature everything from beautiful beaches to sky-high mountains and stunning deserts. You’ll also find historic homes, structures and other spaces that are rich in history. Check out some of the best state parks in California and add them to your bucket list. Limekiln State Park in Big Sur is home to several historic limekilns for history buffs. Nature lovers can enjoy beautiful beaches, Limekiln falls and redwood trees that line hiking paths and campsites. Not far from San Luis Obispo, plan to spend a day at Spooner’s Cover, a beautiful beach in Montaña de Oro State Park. Or climb to the top of Valencia’s Peak for Instagrammable views of California’s central coast, filled with wildflowers. You can also slide down sand dunes, hit the trails or go horseback riding, along with many other activities. Angel Island State Park in San Francisco’s Bay has many different points of interest. The former immigration station is now a historic landmark and you can also find coves, forts, and other structures. There are also hiking and biking trails as well as tours to help you make the most of your time on the island. 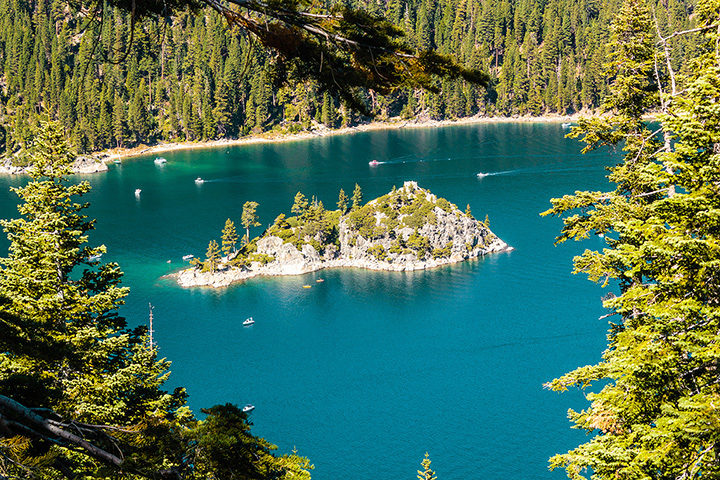 There is a lot to do in Emerald Bay State Park, beyond gazing at the gem-colored waters. You can hike, boat and explore the surrounding area or head out to the teahouse and historic Scandinavian style castle for a tour of the structure. Or take a cruise around the lake. Head to the second largest state park in the continental U.S. in the spring, after the weather has warmed up but hasn’t turned dangerously hot. Famous for the slot, a narrow passage way, you can also spot bighorn sheep on various trails as well as geographic transitions and desert flora. Best known for the annual migration of thousands of elephant seals that turn up on the shore to breed each year, Año Nuevo State Park also boasts various endangered species that you might encounter on the trails. Enjoy the wilderness with a special permit or guided tour to fully enjoy the park’s nature reserve. As part of the West Coast Gold Rush, enjoy an educational day at Marshall Gold Discovery. The first sighting of California Gold was found here and you can tour the historic town that grew up around the locale before having dinner in a historic building or in a nearby tiny town. An essential stop in gold country, Empire Mine State Historic Park is one of the oldest and largest of its kind. Take a tour to go into the mine that was open for 100 years before closing in the 1950s. Check out the visitor’s center and the reproduction of the “secret room” as well as other points of interest. Crystal Cove State Park is located on the pristine beaches of Laguna. Lovingly restored 1930s era beach cottages are available for nightly rentals and kids can play the day away on the sandy shores. You can also camp on the beach or dine at the popular Beachcomber Café. Prepare to be transported to a dream. This glorious Big Sur state park is characterized by towering redwoods, cascading waterfalls, granite cliffs, and unmatched ocean views. Named after pioneer woman Julie Pfeiffer Burns, this state park is an essential bucket list item.